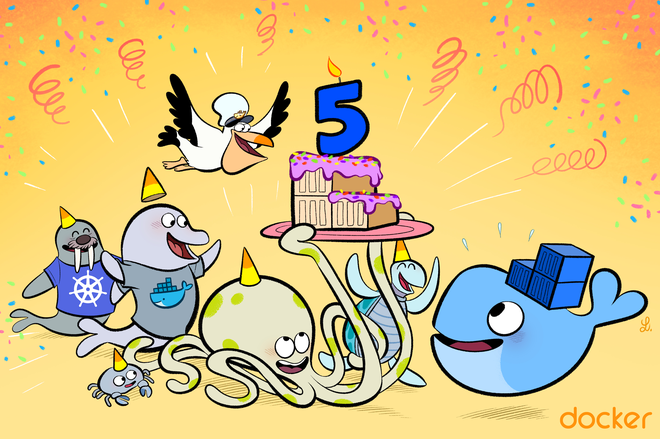 Join us in celebrating the Docker Project’s 5th birthday! Come learn, mentor, celebrate, eat cake, and take an epic #dockerselfie! No need to install anything ahead of these events, we'll be using Play with Docker (PWD), a Docker playground which allows users to run Docker commands in a matter of seconds. It gives the experience of having a free Alpine Linux Virtual Machine in browser, where you can build and run Docker containers and even create clusters. In addition to the playground, PWD also includes a training site composed of a large set of Docker labs and quizzes from beginner to advanced level available at training.play-with-docker.com. Kunal Kushwaha published Docker Birthday #5 Celebration -- Tokyo Edition. Docker Birthday #5 Celebration -- Tokyo Edition has been published! I joined Docker Birthday #5 Celebration (Docker Tokyo #22)!